Our mission is to create a supportive, inviting and positive community of parents, teachers and students. We raise money to supplement and enhance our children's learning opportunities at Steck. 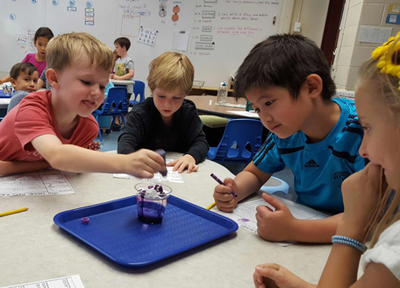 In large part of our PTSA's ability to raise needed funds to support our amazing teachers, Steck has recently been ranked #1 out of all elementary schools in Denver.. See the report HERE. $120,000 annually for our invaluable para-educators, who help with classroom size reduction efforts and allow our teachers to spend more time teaching while our paras take on other classroom duties. $65,000 for 21st Century Classroom upgrades. $10,000 to support our teacher & classroom special projects (field trips, additional training, teaching supplies, capital improvements, etc ). $5000 for student experiences (special assemblies, theater, music and art enrichments). Steck Elementary is being used as a model for other DPS elementary schools for our 21st Century Classroom Initiative. Thanks to our successful annual auctions and fundraising efforts we have been able to upgrade five of our classrooms to be more engaging and conducive learning environments for our children. 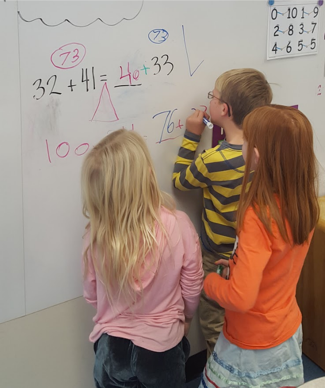 These upgrades include moveable tables with smart storage, wiggle stools so children can easily move around, 360 degree white boards so children can learn and participate in any location, interactive projectors and more. To date, we have raised $65,000 to upgrade five classrooms at Steck. Our goal is to upgrade every classroom so every student can benefit from these enhanced learning environments. Steck Elementary continues to be ranked as one of the best public elementary schools in the state. For this reason, the school continues to be a popular prospect for new Denver families as well as those wanting to choice in. For years, the PTSA has raised funds to help relieve teachers and reduce the size of our classes. 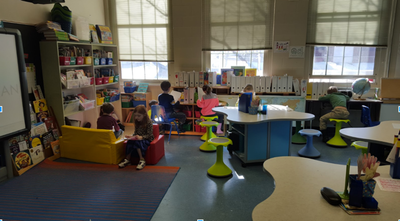 Through our fundraising efforts, Steck is able to provide full-time para support for classroom size reduction efforts and to ensure our children receive quality and individualized education. The cost of supporting Steck's paraprofessionals runs between $70,000 and $90,000 per year. This is why fundraising, our annual auction and our Dollar-a-Day initiatives are so important.